There’s a lot of great creativity going on all around this month. 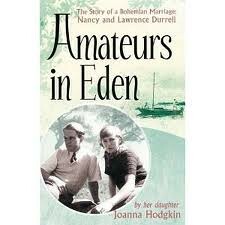 Last week Shirley Dixon and I read two of Lawrence Durrell’s poems at the launch of Joanna Hodgkin’s brilliant new book “Amateurs in Eden”. It’s a terrific read. Meanwhile Simon Annand – who has done the display photography for www.teachyourselfacting.com – has an exhibition of pictures of actors following on from his hugely successful book “The Half”which was linked last year to his remarkable exhibition at the V & A.